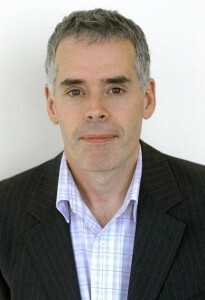 Peter Horrocks is Director of the BBC’s Global News division, responsible for leading the BBC’s international news services across radio, television and new media. The division brings together BBC World Service, BBC World News Television Channel, the BBC’s international facing-online news services, BBC Monitoring Service, BBC Global News Limited and BBC Media Action – the BBC’s international development charity. The aim of the division is to create a clear, co-ordinated presence in international media, improving the impact of BBC journalism with global audiences. BBC Global News delivers programmes and services in 28 languages on television, radio and new media to a global audience of at least 256 million every week. Before taking up his current role in March 2010, he was previously Director of BBC World Service responsible for its overall editorial leadership and management. He has worked for the BBC since 1981. He has held senior management and editorial posts in television (including Editor of Panorama and Producer of Newsnight), radio and online, all with a strong emphasis on the BBC’s journalism. He is a member of the BBC’s News Group Board.